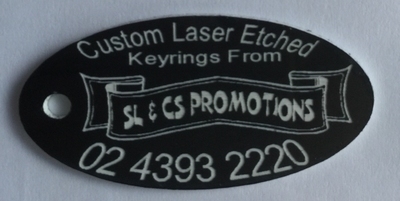 Laser Etched Key Tags are a high quality custom laser etched acrylic plastic key ring with your business name and logo on them. A durable key tag is engraved to provide superior print quality that last. Key tags can be custom cut into any shape you desire. We have a range of colours, shapes and sizes available.